GPS plays an important role for the definition of the terrestrial reference frame and for the monitoring of Earth orientation parameters based on observations acquired by the global IGS (International GPS Service) tracking network. With an increasing number of low Earth orbiters (LEOs) carrying high-quality dual-frequency GPS receivers the question arises whether the inclusion of orbiter receiver data may help to further improve parameters estimated in a global GPS data analysis. 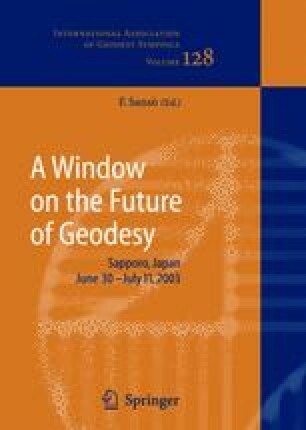 In the following study the satellite JASON-1 was introduced a posteriori into the global analysis performed at the CODE Analysis Center of the IGS. A relatively simple strategy was used allowing for a double difference data analysis applying correct correlations and taking advantage of the fact that preprocessed files with fixed ambiguities were already available for the ground network. An improvement of the LEO orbit as a result from the combined processing could not be clearly shown. The impact on GPS orbits and geocenter coordinates caused by the inclusion of JASON is, on the other hand, significantly larger than expected from the addition of one receiver to a 120 station tracking network. This indicates a potential for improvements with respect to these parameters by means of a combined processing. Modeling insufficiencies and inconsistencies, however, need to be solved to reach this goal.